Photography is fun. It’s a marvelous combination of art and technology that we all enjoy and admire. The digital revolution, followed by the smartphones revolution, has taken it leaps forward and made it extremely popular and accessible for all, including kids. OUR kids. 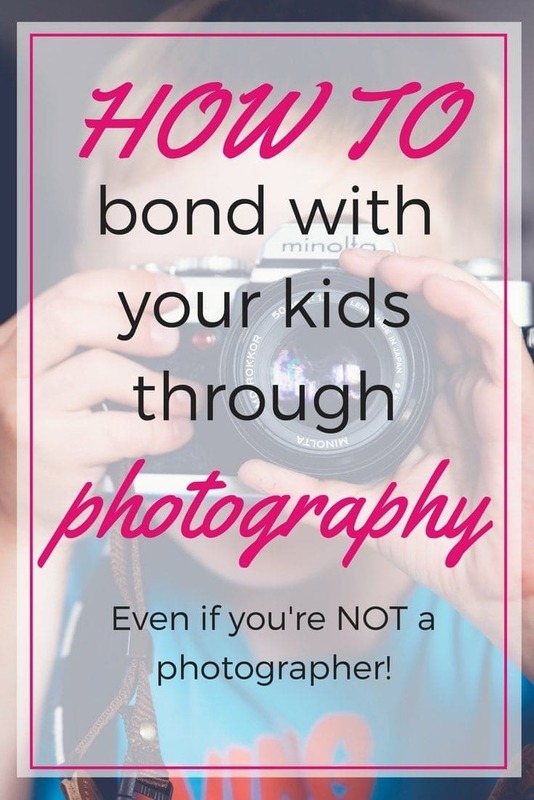 If you have ever wondered how your kids see the world, or wanted to get to know them better, teaching them photographer and seeing what and how they photograph is a great way to do that. How many times did you give your kids your camera or smartphone and just let them take some photos? Plenty of times, right? We all do that from time to time, mostly because our kids are interested in playing with our smartphone, while we are interested in giving them an outlet for all of their energy… But you, as a mom, can also do it differently – you can turn it into a meaningful and enjoyable mom & child photography session, which will give you the outstanding opportunity to learn your kids better. 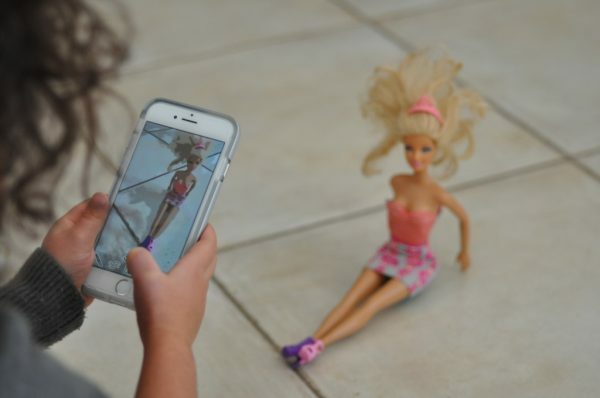 Reviewing your kids photos is like viewing the world through their eyes. What they choose to photograph, what they focus in on, and what they call beautiful can definitely be eye opening for you as a mom. Teaching your kid photography has a few more benefits. With minimal effort, no photography skills and one smartphone, you’ll be introducing your kid to one of the most fascinating arts and over time it might even become their hobby. You can start out small, putting in some time for practice every now and then and gradually grow based on their interests. The more they practice, the more they will develop their art competencies and photography skills. At the same time, you, their mom, will have the opportunity to be in front of the camera rather than behind it. And last but not least, both of you, kid and mom, will have a great opportunity to spend some quality time together. Isn’t what we all want as parents? Look at your kid – before, throughout and after they press the shutter button. At least at the beginning they’ll need your undivided attention. Give immediate feedback. If it has to do with how the camera is held or handled, show your kid what is the right way before they repeat the mistake. If your feedback has to do with their photography technique, review the photo together with your kid and discuss it with them. Don’t rush to take one shot directly after the other without reviewing the outcome. Apply the right approach – you’re interested in your kid’s learning and progressing, right? You don’t want them to put down the camera and never use it again. Selecting the right approach is very fundamental, as mentioned in the next section. We all were kids once. Did we like criticism? Unconstructive feedback? Probably not. It made us upset and not willing to continue in whatever we were engaged in when this negative feedback came in. 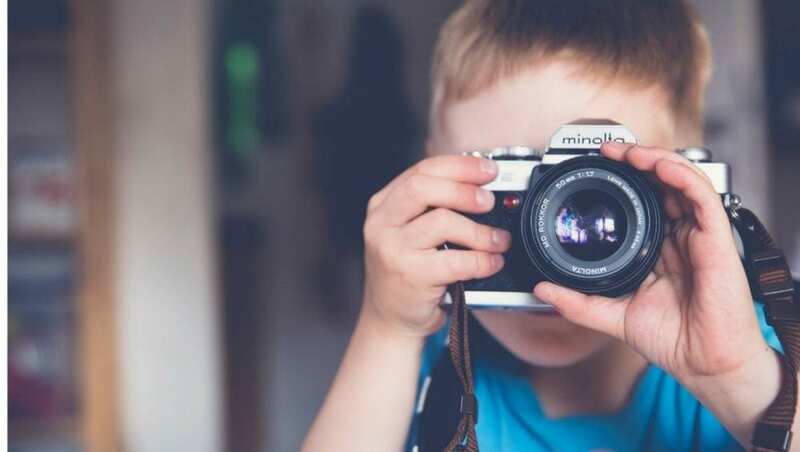 One of the essential things you need in order to teach photography to your kid, is obviously a camera – it may be a toy camera (if your kid is 3-6 years old), a Polaroid camera, a digital camera or just your smartphone. The reason you need a camera is not only because photography is all about cameras, but also because the camera itself has a key role in the teaching process. 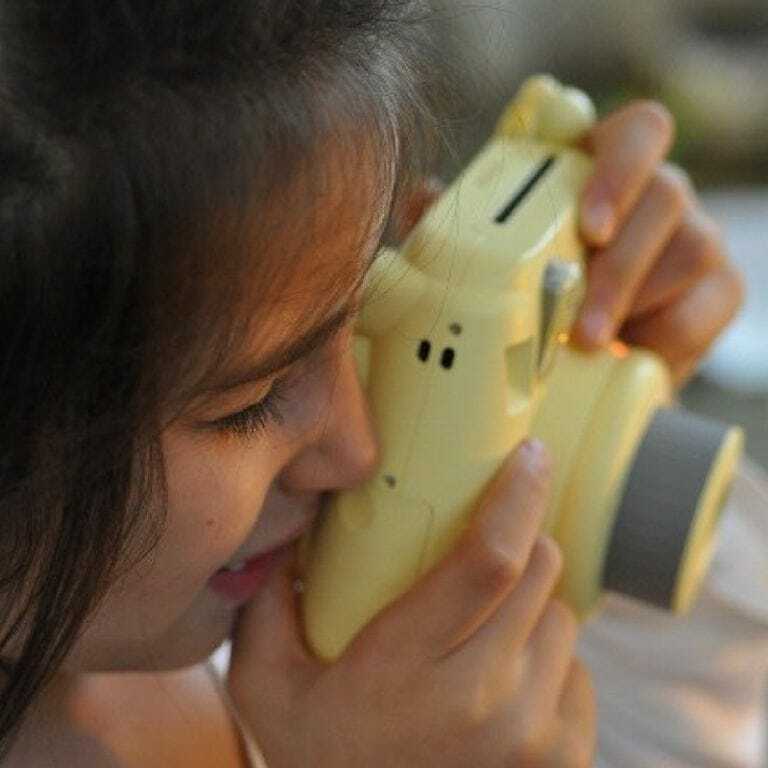 Teaching your kid photography (i.e. focus, exposure, composition, etc.) can be explained and demonstrated quite easily. Practicing photography is very easy and bears no extra cost – your kid can take as many pictures as they like. The more pictures they take, the better your kid will become. Additionally, the big display makes it easier to discuss significant factors like the photo’s composition and exposure. Giving feedback is very easy, as the photos can be reviewed immediately. Additionally, you can zoom in or out by pinching and spreading two fingers together or apart. The various photography Apps can easily help in editing your kid’s photos, add funny filters or tags and make a collage. You can also make use special features like Cartoon Style photos to encourage your kid and make the photography session more attractive and enjoyable. 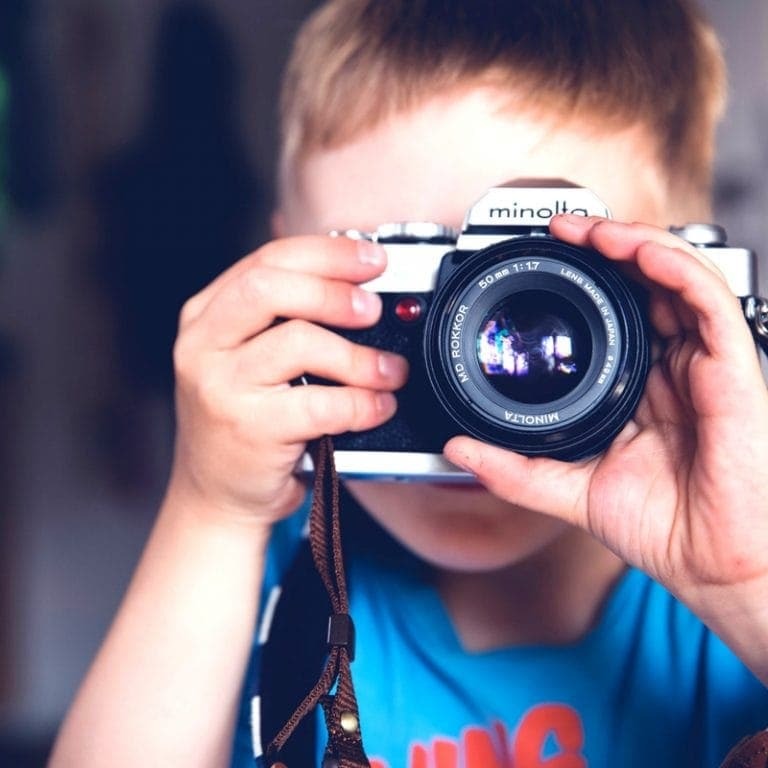 Last but not least – It’s digital – and therefore has all the advantages of digital photography: good photo quality and the ability to save or delete them, so at the end of the teaching session you already have some great photos, taken by your lovely kid, to share and be proud of. (Important note – all tips below are applicable to all smartphones, as technically they all share the same basic features. Nevertheless, there may be some variations in the way different devices from different brands operate. Wherever technical smartphone details are provided, please take into account that they are based on my personal experience of iPhone). The following steps will provide to you with the basics of photography, how to teach them and some tips on common mistakes kids do. I recommend that you mix teaching with practice, to generate more motivation and attraction. I also recommend to provide feedback after every shot your kid takes. This would be the right way to learn and progress. One of the main principles of photography in general, and even more prominent when it comes to photography for kids is: What is the subject? What do you want to photograph? Is it our dog? A toy? Mom? Dad? A good picture requires good composition, and one of the key composition questions photographers ask themselves is what the subject is. Ask your kid this question and let them think about it. In my experience, this by itself is a very interesting exercise in learning about your kid’s inner world (Last time I asked my daughter what she would like to take picture of, her answer was… burgers. Burgers??). Once the subject is chosen, it’s time to find it through the display and take the shot. How big does your kid want the subject to appear? Based on their answer, guide them to get closer or take a few steps back. At this stage, don’t use the smartphone zoom, have them use their legs. One of the common mistakes among kids is not getting close enough to the subject. As a mom, you probably know that kids find it hard to make their choice when a few alternatives are offered to them. How many times did you ask them to choose between option A and option B, and their initial response was Both? The same happens when it comes to taking a photo. What kids tend to do is to try and include as many objects as they can in one frame. And how do they do that? They step back until all of the objects are in. So, this is exactly what we should teach them not to do – right after deciding what the subject is, they should get close enough before taking the shot. How many times have you seen a picture where the object blended into the background? Like someone wearing a black shirt standing in front of a dark wall… or people smiling to the camera when something is growing out of their heads? In order to avoid these mistakes, checking the background and the foreground of a shot is required. Teach your kid to quickly scan the background and the foreground of an image, and look for clutter, distraction or any other fault that might ruin the photo. I use to call it, “the last and final look”. If necessary, the framing should be changed. The cyclist’s head and helmet are blended into the tree at the background. One of the most important photography principles, that makes photos sharp or blurry, is focus. Quality photos are ones where it’s very clear where the focus point is. First, the focus point can be determined very easily. Once the picture’s composition is clear, ask your kid to tap the screen, on the object which they want the camera to focus on. A yellow square will appear around the tapping point. This is where the camera is going to focus on. If your kid wishes to change it – no problem. Tap the screen again to cancel the former focus point and then tap a new point. Second, after taking the shot, it’s very easy to find out if the focus was set properly – present the photo on the display and zoom in by pinching and spreading two fingers apart. If the focus was set on the desired object, you’ll find that when you zoom in, the object remains sharp while its surroundings are becoming blurry. In this picture, the photographer decided to focus on the dwarf at the left hand corner, by tapping on the display (see the yellow square around the dwarf’s head). After shooting, by zooming into the picture (see the picture at the right), you can see that the dwarf is vivid. Light in general, and the light’s direction and magnitude in particular, play a key role in pictures’ quality. Light direction: ask your kid to look around them – where is the light coming from? The sun? A window? A naked bulb? Then look at the subject – is it lighted or placed in a dark place? And therefore – will the image be dark or lighted? While discussing the questions above, look at the scene through the smartphone’s display, as it demonstrates better the device’s interpretation of the scene. At this stage, the most important lesson to tell your kid is to never take images when the light is facing the camera (as my Dad used to tell me when I was a little kid – “the sun should always be at your back…”). This will make the subject dark. Light’s magnitude: Exposure is a critical ingredient in any photo. Different exposure levels result in darker or brighter photos. This can make a big difference in the quality of the photo. If you are using an iPhone to teach your kid, it can help your kid experiment and experience the impact of different exposure levels. How? In the previous section I explained how to set the focus and about the yellow square you see on the screen. Do it again now and you’ll notice that to the square’s right there is a small “sun” symbol. If you drag your finger down, the exposure will be less and picture will be darker. If you will do the opposite, the picture will get brighter. The same picture taken 3 times – follow the “sun” symbol. The picture at the left is with medium exposure level, as recommended by the iPhone camera. In the middle, by dragging the finger up, the picture is overexposed. To the right-hand side, by dragging the finger down, the picture is underexposed. One more way to change the light magnitude is to “add” light. It may be by using the smartphone’s flash or any other source of light like a lamp. To summarize this point, you should know that one of the common mistakes kids do at the beginning is taking photos that are too dark. With this in mind, follow the tips in this section, ask your kid the questions about the light and let them set the exposure. A useful exercise is to ask them to take the same picture but with different exposure levels, or from different angles. After doing so, review the outcome, compare the results and encourage your kid to make the conclusions. What about using the camera’s flash, for example? Or applying longer exposure time? Or adding a light source like a lamp? Take many photos – one of the most basic principles in any learning is practice. The more you practice, the more experience you gain and the better your skills become. In photography, the practice is taking photos, as many as possible. And what can be easier and more accessible than turning on your smartphone camera and letting your kid take pictures? They cost nothing, right? On the other hand – don’t exaggerate by letting your kid take more and more photos without proper guidance and control. Do it for practice, not just for killing time. 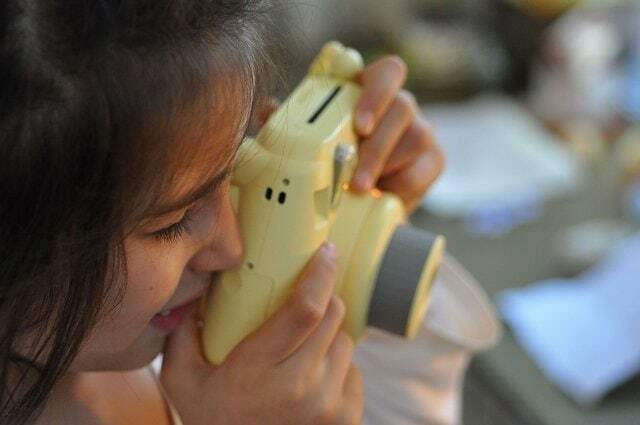 Our purpose is to teach our kids photography and enjoy, while taking advantage of the low cost of photos, but not to spend time in an endless “point and shoot” exercise. Your smartphone is probably a great product with an excellent camera and super photos quality, but don’t make it your kid’s camera for the long run. Use it as a tool to learn and practice. Let your kid experience and enjoy the marvelous world of photography by taking many photos and using some Apps. But – let a real camera be your kid’s camera and main tool for taking photos. It will make a difference. Smartphones are significantly more expensive than any kid’s camera you could find (the iPhone 7, for example, costs 13 times more than the very popular FujiFilm Instax Mini 8), and at the same time, the chance that it will be dropped to the floor and damaged is higher. You know kids – they have a tendency to break things… So, watch your smartphone while your kid is using it. As opposed to most kid’s camera, smartphones have no strap. PreviousPreparing to Pump At Work: Tips, Product Recommendations and more! Dan Barr is a photographer, a parent to 2 girls, and the founder of KidsCameraGuide.com – a blog which is all about teaching photography to kids . You can visit Dan at his website KidsCameraGuide.com or connect with him on Facebook or Pinterest.